Project: Specialised lighting for railways. For specialised applications, the choice of luminaires can be daunting. One way to make the selection process easier is to look at the numbers. 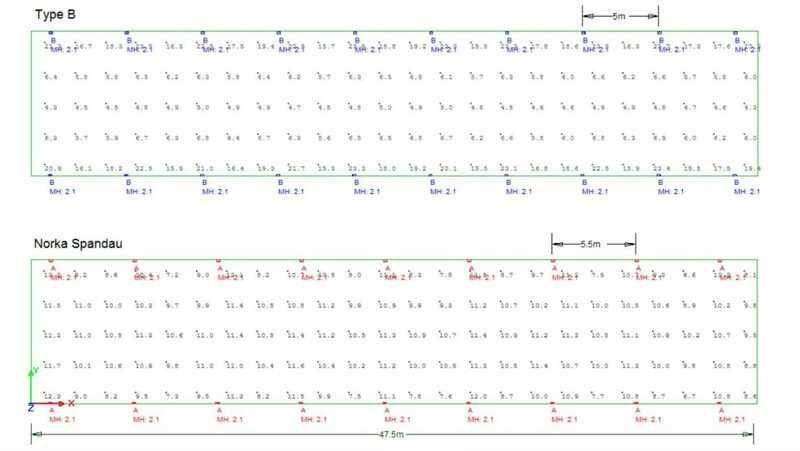 When a customer asked Rexel about LED lighting options for railway tunnels, our designers were able to compare two specialised railway luminaires and make a recommendation based on the calculation results. light distribution on the tunnel floor. 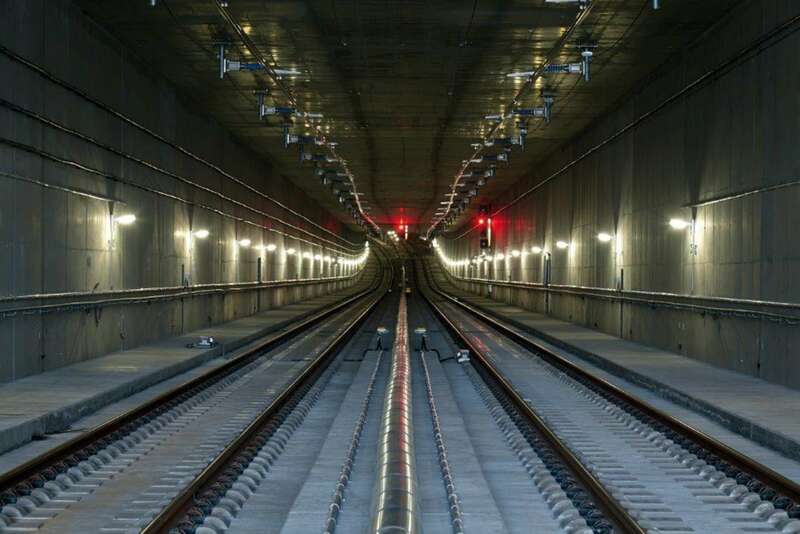 The Norka Spandau is designed to put light where it's needed: across the train driver's forward field of vision, from the tunnel wall to the centre of the track. It also eliminates glare at the driver's eye level. This maximises safety and reduces eye strain. 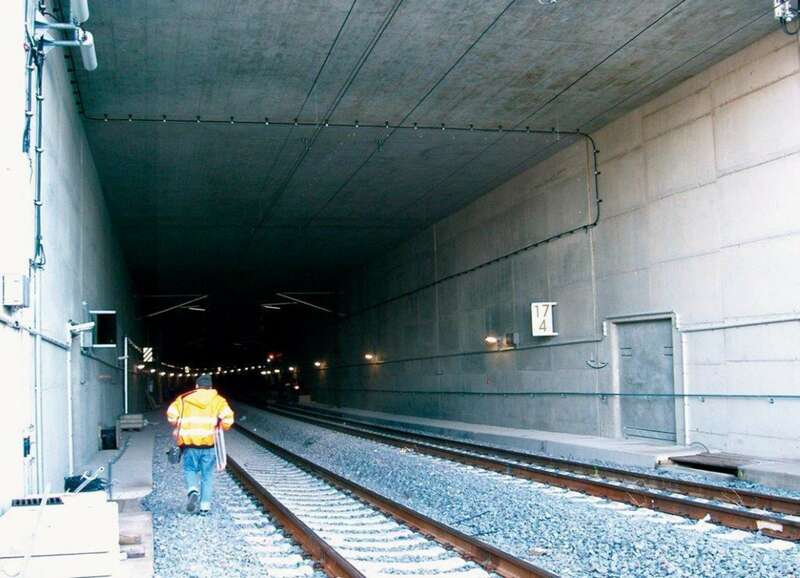 The Spandau is resistant to vandalism, water and dust, and won't be damaged by air pressure changes caused by trains passing at very high speeds. Compared to a similar fitting from our portfolio the Spandau had a broader light distribution which meant that it could be more widely spaced and still meet light level requirements. Over a long tunnel this would amount to around 20% fewer fittings needed and therefore less cost for luminaire purchase, installation and maintenance. In November 2017 Gary Newth, Director of Devine Engineering, registered his interest in Rexel’s Energeasy retrofit programme.